Hands up, who wants a brilliant blocking session? 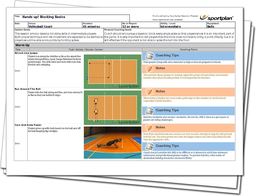 This plan focuses on developing your players blocking technique. Working on both technique and net movement, your players will learn the correct way to block - from running, jumping to blocking the ball. Blocking is brilliant skill to learn, especially in game situations where opponents are unable to spike the ball into the floor. 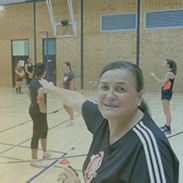 There are six quality video drills aiding you to coach your players to block with confidence. From the warm up to game at the end of the session, each drill reinforces and develop your players blocking ability. Use this session today - It's explosive, energetic and will get your players blocking shots and covering the net.